Family secrets abound in this small town novel. . . Not an easy mystery to figure out. There is an amazing amount of secrets revealed that I never really saw coming making this a fascinating read, to say the least. The characters are fun, believable, charming and welcoming. I can’t wait to read more about this little town. An intriguing start to a new series set in the Piney Woods of East Texas. And since I have family in East Texas, I felt like I was right at home.
. . . an interesting and well-paced start to a new cozy mystery series. Ms. Trent takes these wonderful characters and swirls them together in quite a mystery. When Nora Alexander drives into Piney Woods, Texas, to fulfill her dying mother’s last wish, she has no idea what awaits her. First she is run off the road, then the sealed letter she delivers turns out to be a scathing rebuke to the town’s most beloved citizen and favored candidate for Piney Woods Pioneer: Adam Brockwell. Next thing you know, Adam has been murdered in a nasty knife attack. Suspicion instantly falls on Nora, one of the last people to see him alive. After all, everyone in Piney Woods loved him. Or did they? Nora learns that her mother had a complicated past she never shared with her daughter. Told not to leave town by Tuck the flirty sheriff, Nora finds a job with Tuck’s Aunt Marty trying to get the rundown Tunie Hotel back in the black. The old hotel was Piney Woods’ heart and soul in its heyday as an oil boomtown. Now the secrets it harbors may be the key to getting Nora off the hook. She’s going to need to solve the mystery quickly to avoid arrest, or worse: becoming the killer’s next victim. 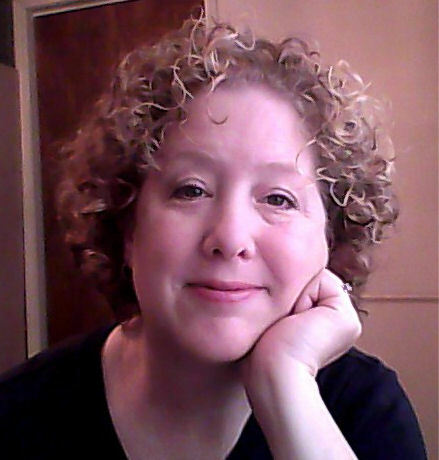 Teresa Trent lives in Houston, Texas and is an award-winning mystery writer. She writes the Pecan Bayou Mystery Series, is a regular contributor to the Happy Homicides Anthologies. 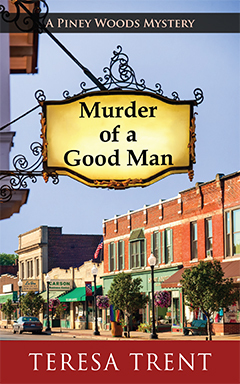 Teresa is happy to add her Henry Park Mystery Series to her publishing credits with Color Me Dead , the first book in the series. Teresa has also won awards for her work in short stories where she loves to dabble in tales that are closer to the Twilight Zone than small town cozies. When Teresa isn’t writing, she is a full-time caregiver for her son and teaches preschoolers music part-time. Her favorite things include spending time with family and friends, waiting for brownies to come out of the oven, and of course, a good mystery. Ah, the mysterious letter and the universally beloved character!